The contemporary fit mock wrap top is your ultimate savior for winters. 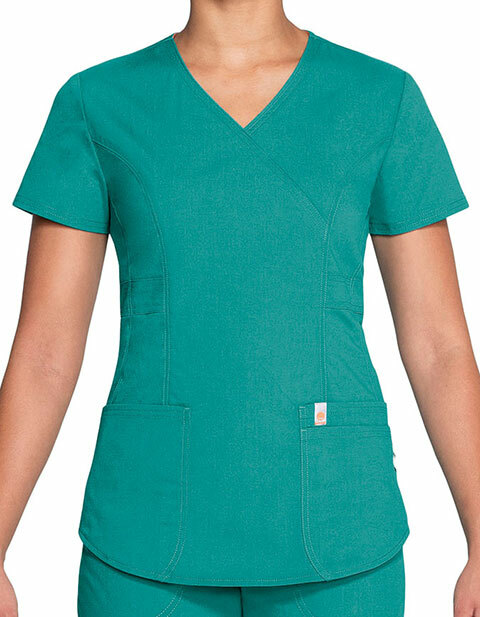 Pairing comfort with functional features; the scrub top has three patch pockets with a bungee I.D. 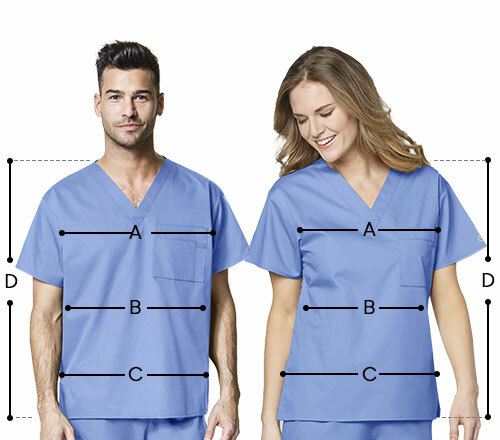 loop, double princess seams, a flattering belt at the waist, signature mesh binding at the back neck, and double needle stitching along with a shirttail hem.